ME Time optionals will take your trip to a whole new level with unforgettable experiences unique to the places you visit. See more, do more, live more & go home completely regret-free. Costs for these aren’t included in your tour cost & are payable to your Trip Manager in local currency. On our trips we don't just take you to the destinations, we make sure you get under the skin of every place you visit. From amazing food & accommodation, to exclusive access to incredible experiences, with Contiki you'll get unbeatable value & a completely unique travel experience. 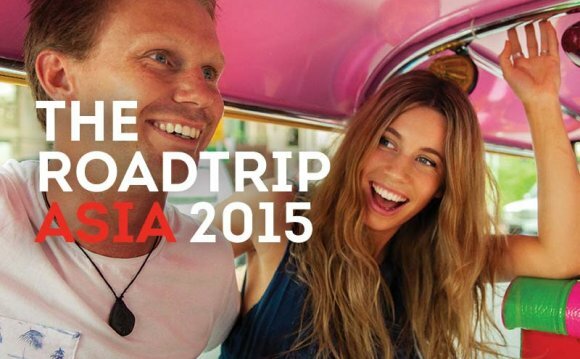 Meet your Contiki Trip Manager and fellow travellers at your kick start meeting in the hotel at 6pm. Hit up the local area tonight for a get to know you dinner and then rest up as the fun begins tomorrow! Next stop is the famous Gili Trawangan. Reputed to be more beautiful than any of the other Gili Islands, with diving and white sand galore, this really is a slice of heaven. Tonight we dine on Indonesian delicacies and watch the sun set from our beach front hotel. Two full free days on Gili Trawangan to dive, snorkel and sun worship to your heart's content. With some of the best diving in all of Indonesia, you'll want to make the most of every minute here. Gili Trawangan also has one of the largest turtle populations in the Indonesian Islands and you'll have the opportunity to see them in their natural habitat. Our next island destination awaits today, the resort town of Senggigi on Lombok Island. Lombok is the forgotten sister of Bali which is a great reason to visit. Likened to Bali 20 years ago before it unplugged and sold out, there's stunning beaches and mountainous ranges to give you even more scenic Instagram shots of this beautiful region. Today, why not opt for something different and take a drive down to the southern end of the island to Kuta. While you're checking out the surf breaks, take the opportunity to pick up some tips from the locals with a Surf Lesson at one of the pristine beaches or on a reef break where the fishermen paddle you out to the waves...no jet skis here! Why not make tonight a memorable one with dinner and a night on the town, Senggigi style. A leisurely start to the day with a later ferry back to the main island of Bali. We'll arrive at our Seminyak hotel just in time for Happy Hour and a chill out session by the pool.